The Goldstone Property is, as indicated by the name, a Gold Mine which has historically produced significant quantities of gold, silver and lead. The Goldstone Property as described in this document comprises 5 lode mining claims for a total of 100 contiguous acres. The mine is located at roughly 9000’ of elevation, about 1 mile west of the Montana/Idaho state border and the Continental Divide. Located in Lemhi County, Idaho outside of Dillon Montana. To access this mineral property you will come into it from the Montana side over Goldstone Pass. Must have high clearance 4WD or UTV to access. Road is steep and rough near the pass. The Goldstone property is set on a high mountain ridgeline, just off of the Continental Divide. The claims are accessible only by roads on the Montana side of the border, starting near Dillon, Montana. The terrain is very rough on the ascent over Goldstone Pass, but the roads are intact and usable by high clearance 4wd or UTV. 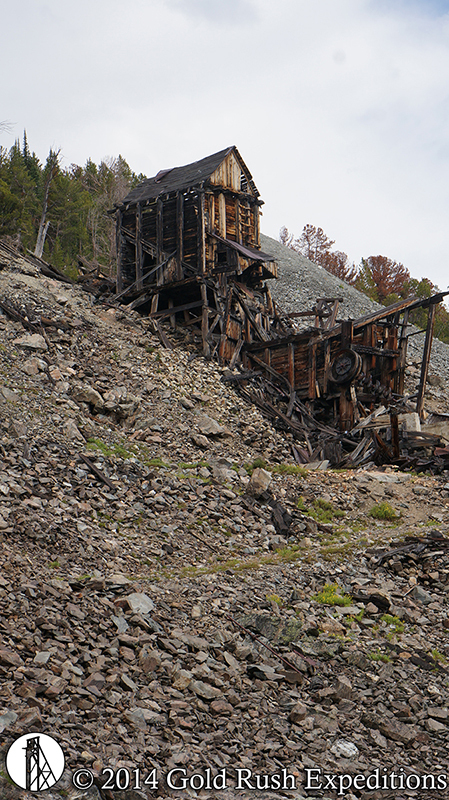 The mine has not operated since 1956 as well as can be determined. The portals were reported by locals to have been blasted in 1956 when the mine was mothballed while capital for development was raised. The only portal left open to the underground workings was the Mottman Tunnel, an 2400’ drift which intercepted the “Mottman” gold vein and the Goldstone vein. This portal had a watchman and cabin placed at the entrance from 1956 to 1991. The portal was reported to be locked and in good condition at that time by local rancher Andrews, who owns a ranch at the base of Pratt Creek. In 1994 the Mottman tunnel was addressed as an “abandoned” mine. There was significant reclamation executed in 2008-2010 to mitigate the tailings from the mill. It is unknown if the Mottman Tunnel Portal was compromised at this time. Regardless, a Notice of Operation will be required to open and sample the workings. Surveyors were able to locate the number 5 level, and the Hope and Climax Shafts in 2014, A caretaker was put in place from 2014-2016 to monitor and safeguard the property from any further damage. In 2016 the caretaker left the site and has not been in contact with Gold Rush Expeditions, Inc. since his departure. There is a very detailed history of the property assessed by two separate individuals, the first by Mr. Lamb who acted as a secretary and treasurer for the Goldstone Mining Company from 1949-1967. His assessment of the workings seems very fair and unbiased. Request a GRPM43 Technical report for full geology of the site. Request a GRPM43 Technical report for full history of the site. 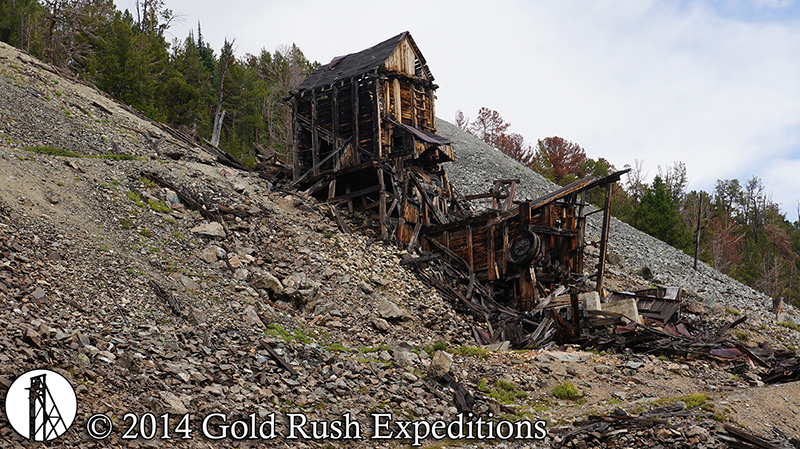 Contact Gold Rush Expeditions Inc. for a GRMP43 Technical report.